"On The Fence" about something? 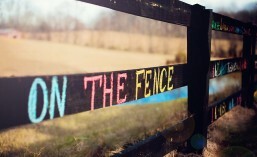 Maybe my fence can help. What to do when it is cold outside, but little hands are looking for something messy and creative to do? This is what we do. It is simple, tasteless (so no one would be tempted to eat too much of it), and fun. 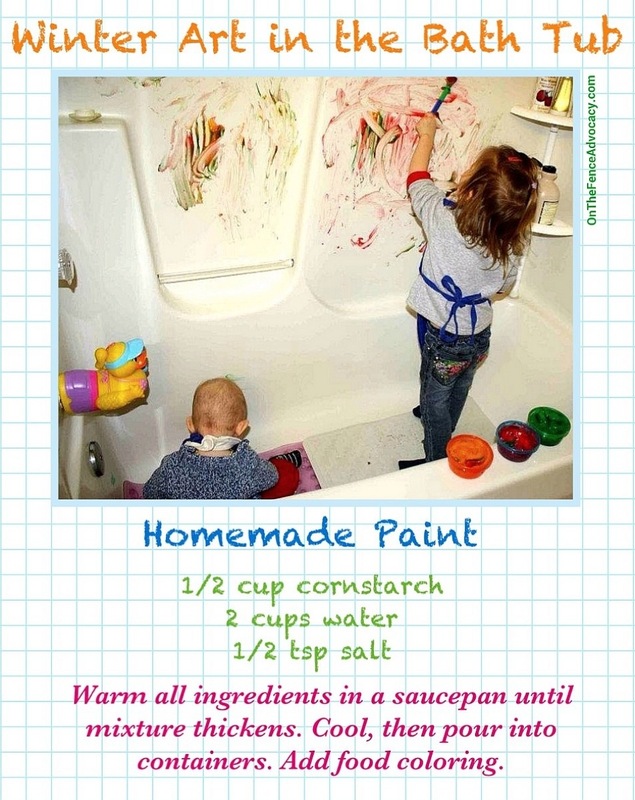 Small kids can use it as finger paint, older kids can use brushes. All you need to do afterwards is change their clothes and rinse the tub. Warning: Because there is cornstarch involved, the paint should be used shortly after it has been made, and is cool enough to handle. The longer it sits, the thicker and harder it gets. From my experience anyway. Other alternatives for this activity could include shaving foam with added food coloring, or plain yogurt with coloring (I choose plain to avoid too much sugar in our diet). This entry was posted in Kids' Crafts and tagged Parenting. Bookmark the permalink.